In need of a high performance aluminum radiator for your project car? 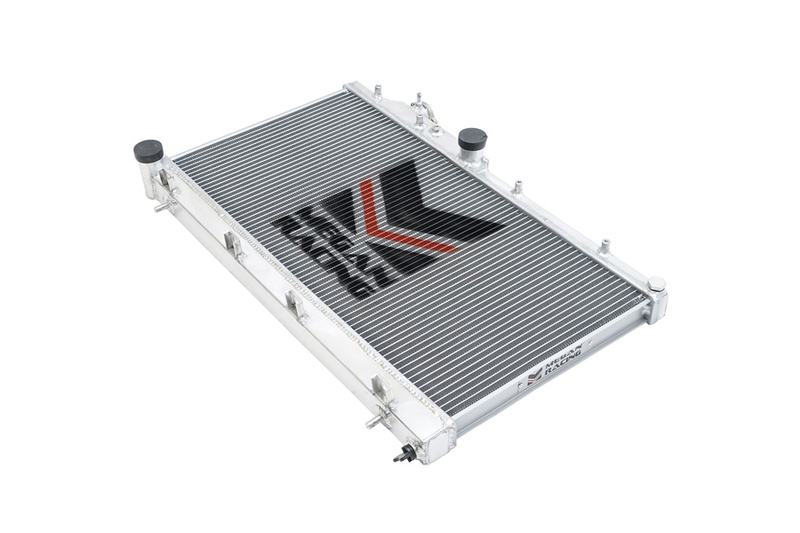 Check out the line of Megan Racing aluminum radiators. We are proud to introduce the new catalog of Megan Racing high performance aluminum radiators. Anytime an individual introduces their car to a racing/drifting environment, the temperature of the vehicles engine will skyrocket. Therefore one common and effective method of reducing engine temperature is to employ an aluminum radiator. Furthermore this is a cost effective upgrade which can ultimately save an engine during competition or spirited driving. Often times, a temperature drop of twenty degrees or more will be noticed when using an aluminum radiator. Also included is a 1.1 BAR radiator cap. In conclusion not only will an aluminum radiator be a good choice when replacing a broken OEM one it also is a good preventative measure before the stock radiator fails you. In other words you can never have a cooling system that is too efficient.